Where To Use Himalayan Salt Lamps? Allergy sufferers: A Salt Lamp in your vicinity will help your wellness and keep the air around you clean, ionized beautifully and naturally. Anywhere you want the air quality to be enhanced or maintained, anywhere you would like to produce a serene, relaxing, health environment, anyplace you wish to enjoy the beauty of character. Office workers: A lamp at work can help improve your concentration and refresh you, neutralizing the effects of stress, artificial light and air environment. Massage rooms: A lamp or two in the massage room will greatly enhance and create a natural ionizing, calming, wellness environment and will also keep the air fresh. Convalescents: While you recover from an illness, a lamp by your bedside will be a comforting and healthy companion. Computer users: Place a Himalayan Salt Lamp near your computer to reduce fatigue, counter EMF (electromagnetic pollution) effects from equipment. The lamp will also minimize the effects of monitor radiation. Well accepted by Natural Health Practitioners: A salt lamp glowing in your consulting or treatment room assists the healing process and adds to a calming environment. Parents: Place a comforting salt lamp by your child’s bedside. 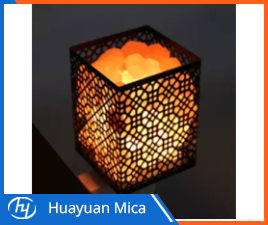 It is a lovely & healthy night light, and will enhance your child’s sleep, keeping the atmosphere clean. Meditators: When you repose in peace and quiet, a lamp near you is known to enhance your meditative experience. Every Peaceful Salt Lamp is unique, and will have its own individual coloring, shape, and natural fissures. You can call us now and learn more details.